Amazing foodie restaurants include Rick Stein at Bannisters and Tallwood Eatery , both in Mollymook. St Isidore, Cupitt’s and Mrs Top Restaurants in neighbouring Milton combine to make the Mollymook Milton Ulladulla area the “Foodie’s” destination on the NSW South Coast. Scroll down the following list. Mrs Top Hosts, Vanessa & Anatolij have over 25 years of experience in hospitality as chef/owners of Mrs. Top restaurant in Sydney at Marrickville and Neutral Bay. 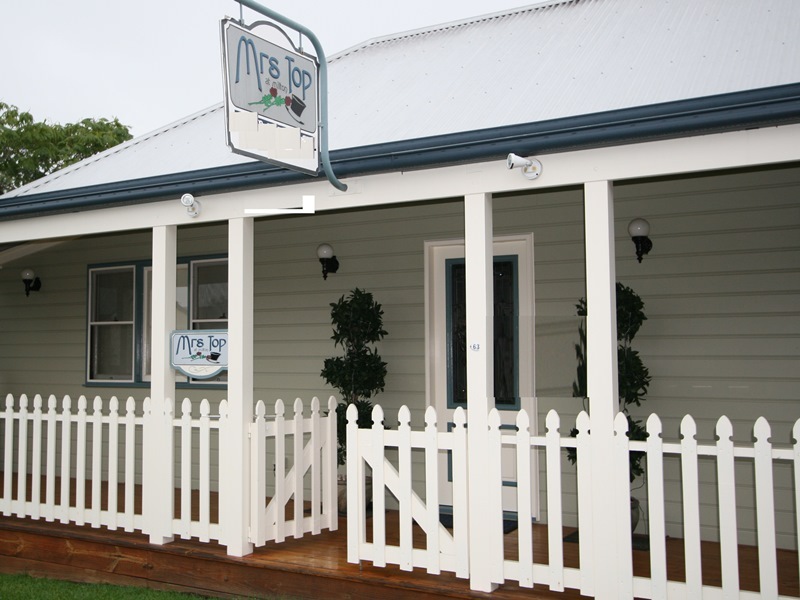 They have an amazingly extensive a la carte menu in their popular restaurant that offers fine dining to guests and to the well-informed locals who delight in the rustic feel and the friendly atmosphere of dining at Mrs Top Milton NSW. Open Friday and Saturday evenings.